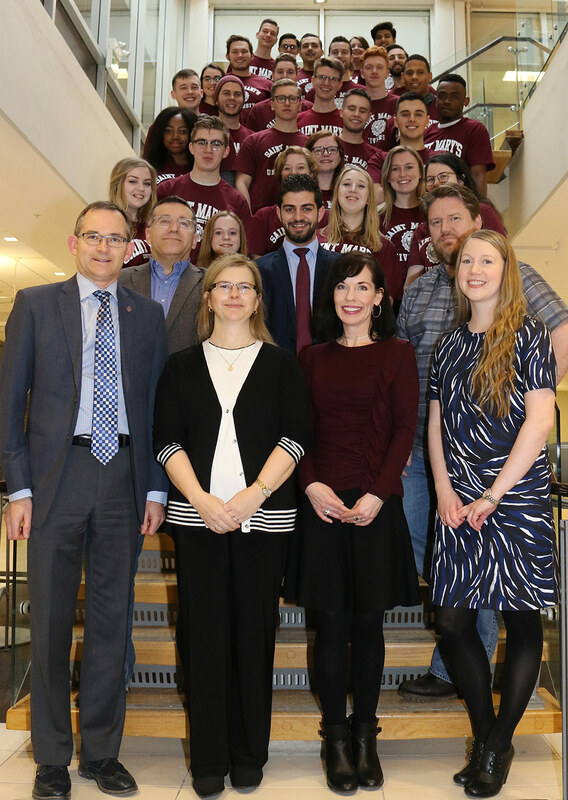 A record-setting team of 28 Saint Mary’s University students representing a cross-section of undergraduate and graduate students within the faculties of Arts, Science and Commerce are departing today for Northern Ireland to facilitate peace education workshops. These students will begin working with elementary school children throughout Belfast, Northern Ireland, once they arrive. This long-standing and unique experiential program is a remarkable collaborative effort, coordinated through Saint Mary’s University, Peaceful Schools International and the student-led Conflict Resolution Society. Learn more about Saint Mary's role in conflict resolution in Northern Ireland: A conversation with Bridget Brownlow, President of Peaceful Schools International.